Not all of us are into sewing. Well, I can sew a little like fixing buttons or other stuffs that we learned in school. But I can also sew other stuffs that don’t need complicated patterns like a pillowcase or a uhmm…curtain? It is actually easy to sew a curtain but it would really be nice to make one even without sewing it. As a matter of fact, I prefer a no-sew curtain because it is very easy to make and I am saved from the stress of reprimanding a little girl who joins my feet on the sewing machine’s pedal and who thinks a thread is a jumping rope. Whether you are a mom or not, you will no doubt feel relieved that you don’t have to sew a curtain. But why do we have to make it if we can get a ready-made curtain from the market? This is for people who can’t find that perfect curtain and for those who want to add some personal touch to their own interiors. This isn’t for the i-don’t-care-as-long-as-it-is-there kind of people. 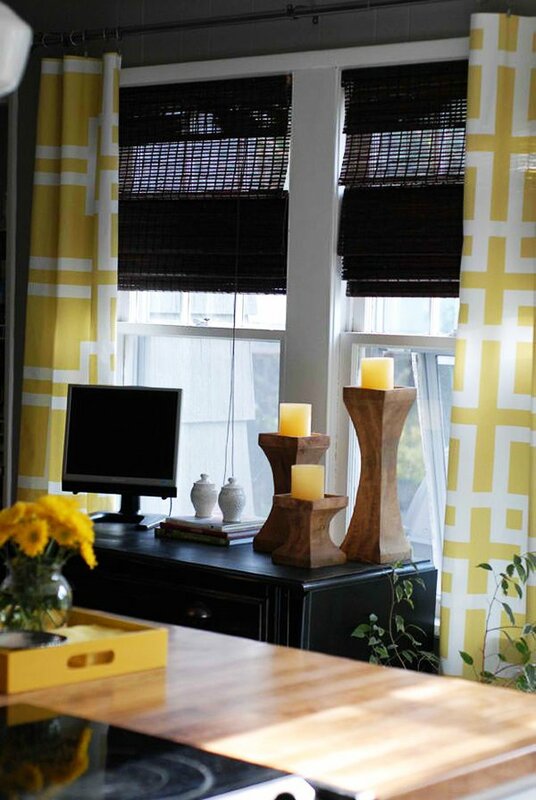 Hey’all DIYers, here is a list of easy DIY no-sew curtains that you can try on. You might even discover a different twist to the ones below. Beautiful yellow curtains, right? Just pick your fave fabric with the color and pattern you love and then use a hem tape around it. Use drape clips and you’re done! 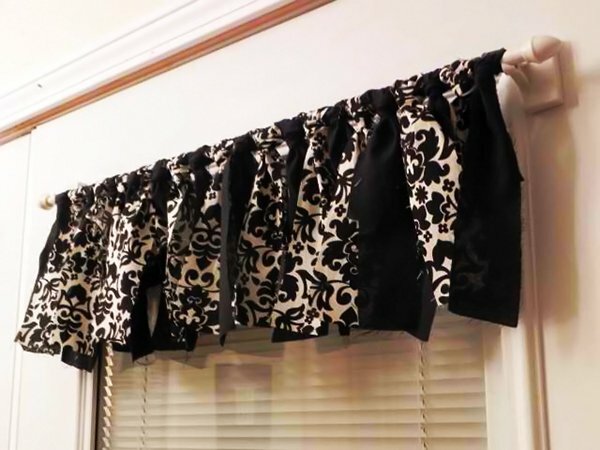 A valance is even easier to make. Fasten one side of the fabric to the rod or wood then add a ribbon. One way to make a Roman shade is this tutorial from Red White and Blueberries. Take a look at how this is done. Less effort is indeed for a valance like this. Simply get some scrap fabric and tie it on a rod. What do you think this window valance is made of? It’s just a styrofoam covered with fabric. You can do it with cardboard too. 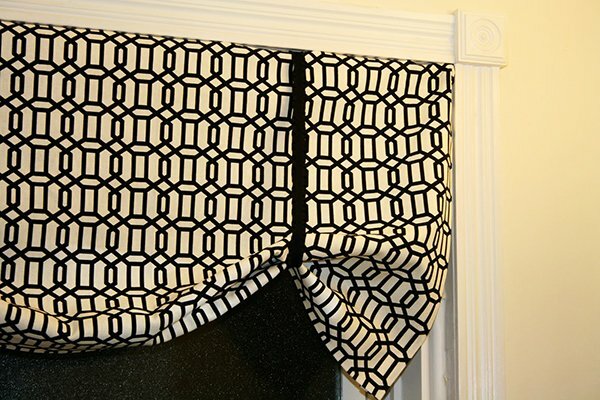 Add a blackout to a curtain by following some simple steps from a DIY blog. Done for a nautical themed nursery, this curtain is just so cute from an Ikea DIY item. Another Roman Shade which is achieved merely by putting two tension rods. Pretty curtains with pom poms around it. Well, I think you know how to make one like this. 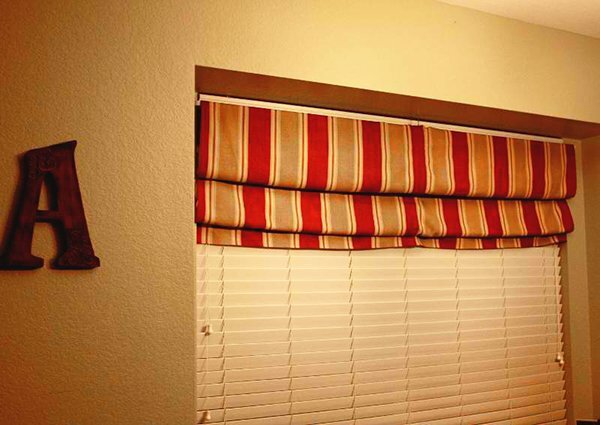 Another simple valance that involves only attaching it to the rod and tying it. Simple. Just hang towels on the rod as if you are just letting them dry. Square or rectangular table cloths with tassels, ruffles, or scallops will look great like this one! 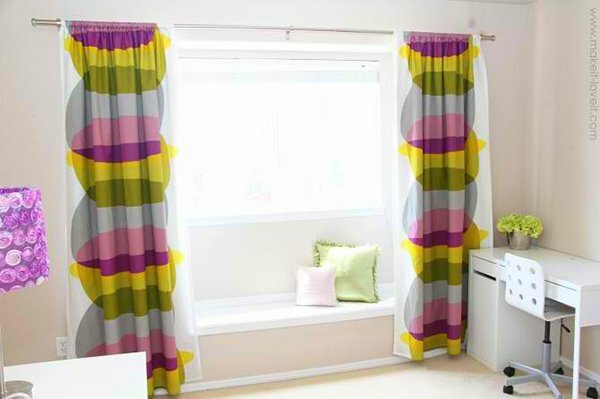 You can change the look of your curtain to three different ways like what you see here. And no sewing is needed. 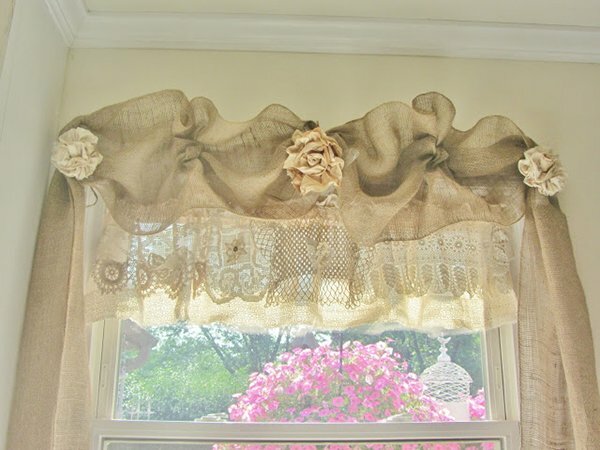 Two ways to tie a valance as shown in the image above but feel free to see how this was done. Add those ribbons not just as stripes for a white curtain but as tabs that you will use to tie it on the rod. Overly cute valance with a nice combination of fabrics and colors. 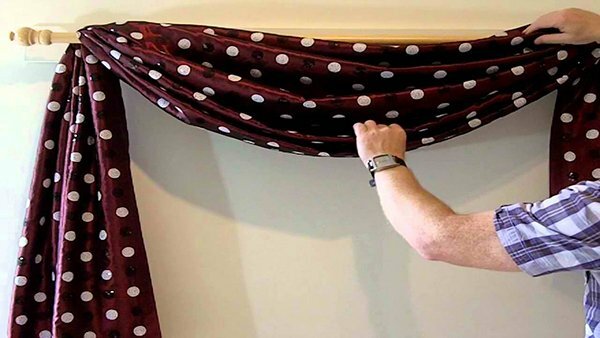 Watch this video for a step by step procedure of turning a scarf into a valance. I so love this one especially that I personally love Shabby Chic! 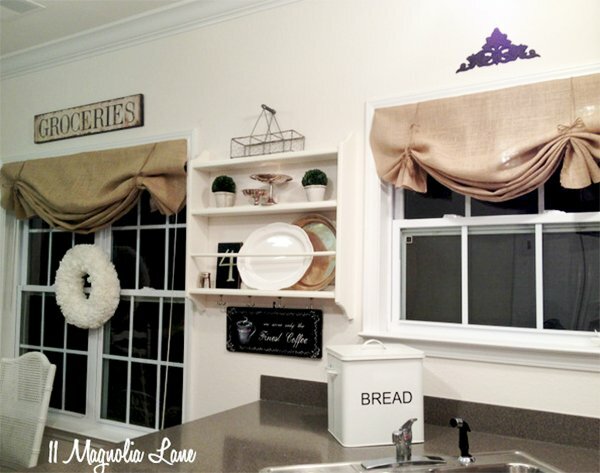 Just get those stuffs together and create a lovely valance. The tabs of this curtain use magnets covered with wooden buttons. 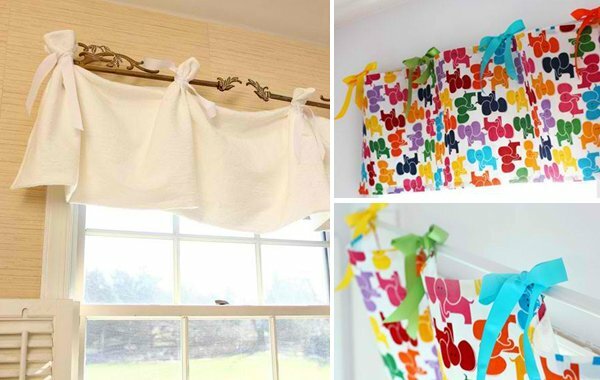 A great idea for a no-sew curtain! This one just used square pillows and napkin rings. Pretty curtains for a nautical themed bedroom! Very simple indeed. See? There are so many ways to add a window treatment that is not just beautiful but is something that you can be proud of. I know how it feels to get something done that turns out lovely. There is a flutter in our hearts that make us feel like “super”! Lol But yeah, if you could create a curtain like the ones above, you will surely feel very very happy and you might even ring your friends to come over to check what you have done. Worry not, you have all the reasons to boast your creations! Want to see more DIYs? How about some DIY pendant lights? I’m sure you will love that list too! Thank you Chris. We’re doing our best. If you have suggestion please let us know.